Last month was busy with several key product updates, events and webinars. 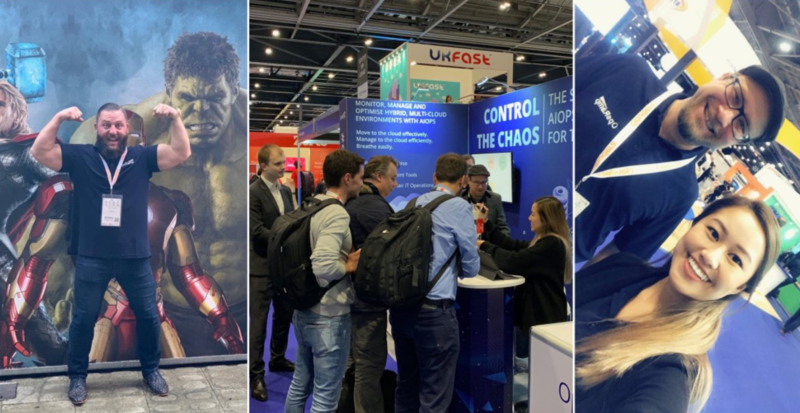 OpsRamp EMEA controlled the chaos in Europe with our presence in Cloud Expo Europe London, while the US demonstrated OpsRamp’s bi-directional ServiceNow integration with a webinar, and 451 Research’s latest report recognized the company’s innovations in hybrid cloud management. Here’s a quick snapshot of the news milestones that made the month of March. 451 Research' s latest report, 'OpsRamp is breaking new ground for IT operations management' addresses the company’s latest platform features and innovations for hybrid cloud management use cases. The report, by 451 Research founder William Fellows, cites OpsRamp as one of the few modern ITOM platforms that combines monitoring, event analytics, and incident management so that enterprise IT teams can use it as “a destination for hybrid IT operations management and cloud.” VP of Marketing Darren Cunningham captures the key highlights of the report in this blog. The analyst firm IDC forecasts that organizations will collectively spend $370 billion on public cloud services and infrastructure in 2022. Enterprises are using a number of approaches (lift and shift, re-platforming, and refactoring) to smoothly transition on-prem workloads to the cloud, given the skyrocketing adoption of public cloud platforms. If you are an organization on the cusp of a cloud migration initiative, read Prasad Dronamraju’s three-part blog series which explains how enterprise IT operations teams can manage the challenges of moving to cloud during pre-migration, migration, and post-migration. 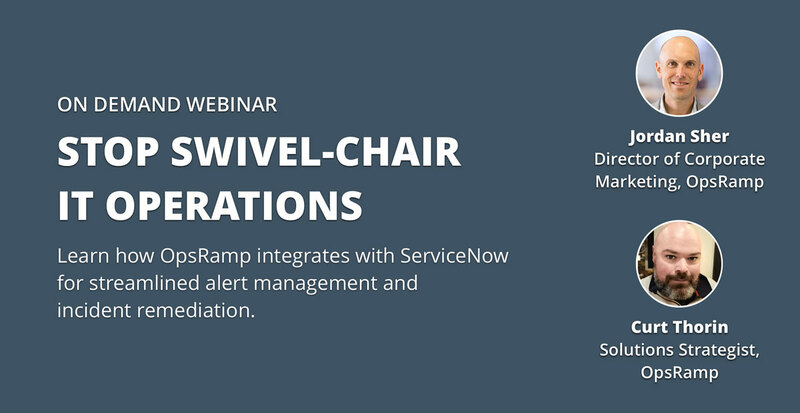 Our recent webinar, 'It’s Time To Stop Swivel-Chair IT Operations' by Jordan Sher and Curt Thorin, explained how OpsRamp and ServiceNow integrate seamlessly to reduce mean-time-to-detection /resolution (MTTD/MTTR). With OpsRamp and ServiceNow, IT teams can proactively discover, monitor, manage, and remediate incidents without toggling between multiple consoles or struggling with disparate data sources. Read the key highlights here. OpsRamp was a silver sponsor at Cloud Expo Europe in London. With more than 20,000 attendees and 550 exhibitors, Cloud Expo Europe is one of the biggest technology events in the United Kingdom. The two-day event took place at the ExCel event center on March 12th - 13th. OpsRamp was represented by Eric Cook, Steve Randall, Payton Kilcarr, and Mandy Truong. Check out our Twitter Moment for the event here. Last month, OpsRamp delivered its Winter release which introduced several innovations for digital operations management, including improved inference context, Azure cloud monitoring, and user interface updates. Read how these features translate into real business impact in this blog. Check out our What’s New page for the highlights of the Winter 2019 release. Follow us on Twitter and LinkedIn for some great content.